Using Advanced Settings, you can set the shipping amount and add sales tax, custom fields, and waivers to One-Time and Recurring Donations/Payments. Additionally, you can now set a start and end date for Monthly, Quarterly, and Annual Recurring Donations/Payments, or allow donors to choose their own. Note: Advanced Settings must be set individually for each frequency (one-time, monthly, quarterly, and annually); the advanced settings will not copy over from one frequency to the other. To edit this information, go to Campaigns > Edit This Campaign. Here you'll find the Tool Settings tab where you can select Manage Settings for the Donations tool. 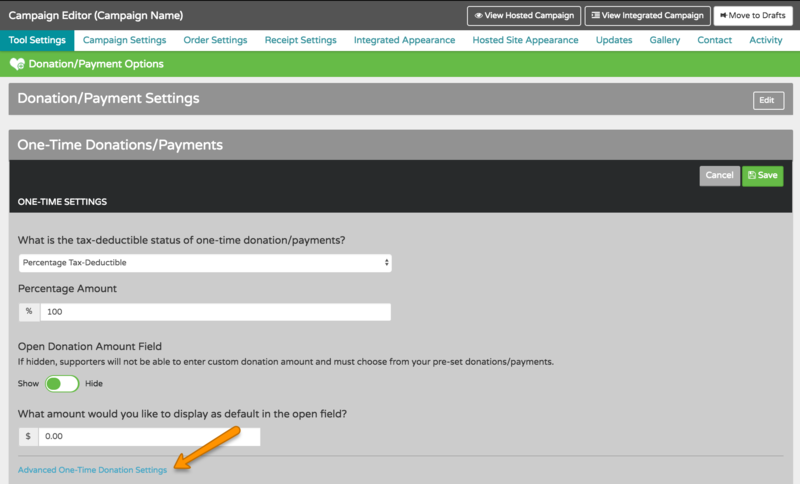 Next, click Edit next to the Donation type (One-Time, Monthly, Quarterly, or Annual Recurring) you want to configure. For example, if you want to collect the birthday information from your One-Time donors within a multi-tool campaign, you can add the custom field from within Advanced Settings. You can select from the dropdown list of pre-populated Custom Fields or choose to add a new custom field. 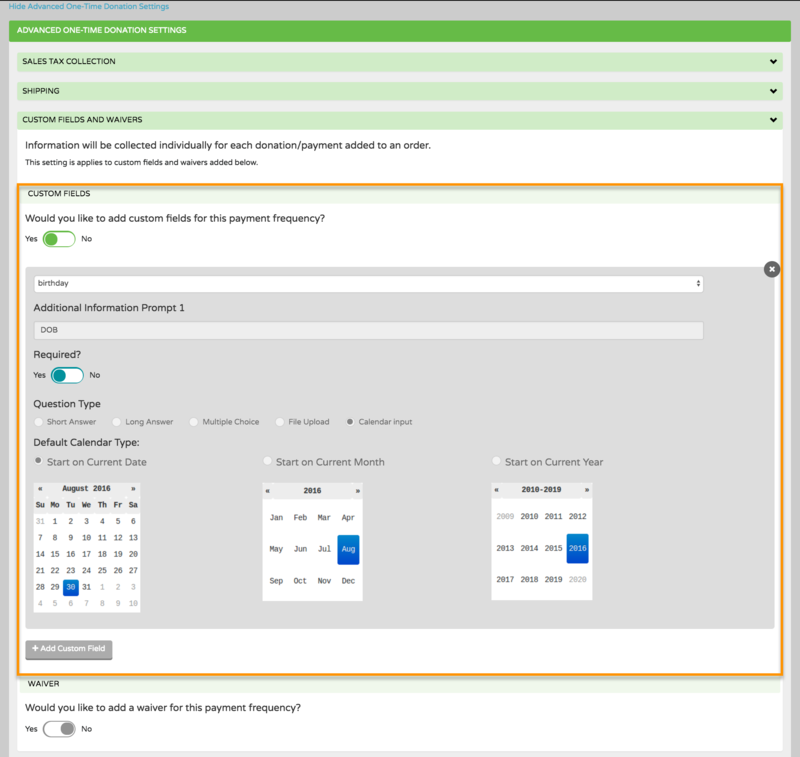 If you have activated the Cart feature for your campaign, supporters who make a One-Time donation will be able to enter an answer to your custom question during checkout. Make sure to scroll and hit Save when finished!